The CSUN conference is the largest technology and accessibility conference in the world. BizAbility was featured in the presentation: Small Business in a Box: Enabling Entrepreneurship with Accessible Tech by JJ Meddaugh and Ted Drake. Business in a Box evaluates tools and services to make small business management easier for entrepreneurs with disabilities and recommends next steps toward attaining universal access. This presentation was developed for the CSUN 2015 conference by JJ Meddaugh and Ted Drake. For more information, visit http://bizAbility.org Business in a Box evaluates tools and services to make small business management easier for entrepreneurs with disabilities and recommends next steps toward attaining universal access. Entrepreneurship provides employment opportunities for many individuals with a disability. Eﬃcient management requires a set of tools that enable sales, business management, ﬁnancial reporting, and education. This presentation seeks a solution to discovering these resources. BizAbility.Org is an online collection of software, applications, devices, and resources that provide an accessible experience for small business owners, entrepreneurs, and employees. This is to be a living document and depends on feedback from users. Toolkit includes basic information on a product and their accessibility functionality. While the items within the toolbox are aﬀordable, and many are free, cost was not a determining factor. While researching products for this toolbox, surveys were sent to small businesses, product accessibility managers, forums, and social media for suggestions. Mobile technology has become key to small business management. Mobile payment solutions enable low cost credit card processing. 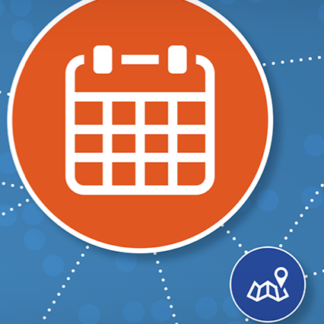 Invoicing, estimates, note taking, and account management can be handled on location. Many mobile applications are more accessible than their older desktop equivalents. There are tools and backend functionality that is not available on a mobile application. BizAbility is broken into the key categories for business management. 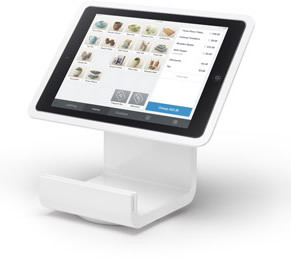 Point of Sale is where the consumer completes the process of purchasing goods and services. There are several mobile solutions for credit card processing. This also includes bar code scanners and devices that improve communication. The Square Stand for iPad bypasses the headphone jack, which is a common accessibility problem. 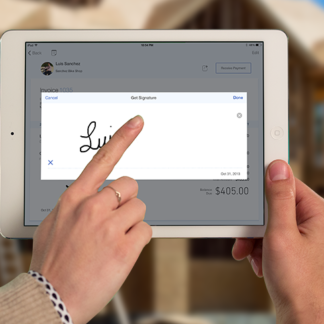 Square provides an accessible interface for consumers and business owners. Wire Tap is a headphone splitter that separates the input an output. 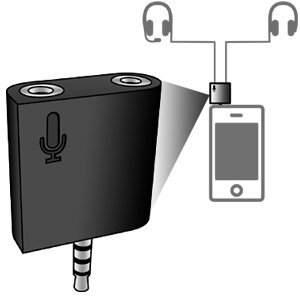 This means you can record via one port and listen from another port. Originally this was design ed for musicians, but it also works for credit card scanners and listening to a screen reader at the same time. Wire tap works with Square and reportedly with PayPal. It’s diﬃcult to listen to a screen reader while also having a conversation with a customer or paying attention to ambient sounds. Bone conducting headphones, such as AfterShokz, leave the ears exposed and send the sound waves through the skull. Online businesses are great opportunities for individuals with limited mobility. Today, there are many platforms for starting an online business, the only limit is your time and imagination. Many businesses tie into large e-commerce solutions for selling, receiving payment, and managing inventory. Etsy is an online market place for hand crafted and vintage items. Amazon allows companies to list and sell their items within their platforms. 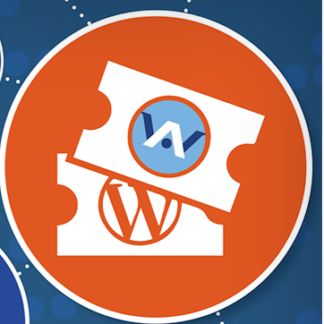 It also provides great aﬃliate opportunities for highlighting their merchandise and receiving a commission on sales. eBay and PayPal allow companies to sell online and collect payments. Accounting includes much more than balancing a checkbook. It also includes projecting sales, tracking popular products, watching invoice due dates, scheduling payments, and organizing employees and their wages. Today’s accounting tools are also ﬂexible and tie into third party Point of Sale, inventory, and payroll systems. How do you acquire new customers and tell the world about your business? These marketing tools provide marketing advise, management, and social media presence. Chicken Nugget and Easy Chirp are built to be accessible from the ground up. Each allows you to create tweets and view your Twitter stream. Twitter’s web site provides the most accessible option. Sendy: self-hosted mailing list software. Works with Amazon’s Simple email service. Demand Force, from Intuit, provides integrated marketing, emails, and appointment reminders for small businesses. These online resources will provide the education and training needed to eﬃciently start and run a small business. Many of these resources are free and range from economics theory to the nuts and bolts of entrepreneurship. They provide transcripts and/or captioning. They may also provide downloadable course outlines, handouts, and supporting web sites. iTunes U and Khan Academy are free, while lynda.com is a subscription-based business. Payroll can quickly become a complicated process for companies. A robust accounting software will make it easy to track employee’s hours, wages, taxes, vacation time, and much more. Intuit Payroll is a subscription service that integrates with QuickBooks. It provides paycheck distribution, tax documentation, and employee management. The iOS applications are very accessible. The QuickBooks Desktop integration is also accessible. Completing a purchase is only the ﬁrst step for many businesses. These tools will help your business track inventory, package, and manage shipping costs.